To graduate from NYU Shanghai, students must complete 128 credits of coursework, distributed among core curriculum requirements, major requirements, and electives. 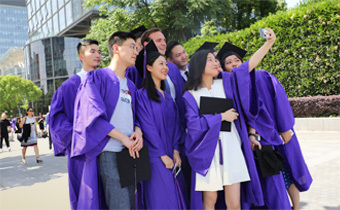 While English is the language of instruction at NYU Shanghai, proficiency in Chinese is also required of all students by the time they graduate. Typically, students will complete the core curriculum during their first two years and the bulk of their major requirements in their third and fourth years. Students are required to spend one semester studying at one of NYU’s global academic centers or degree-granting campuses or at an approved International Exchange Programs (IEPs).